For years, small and independent craft breweries have been turning the beer industry upside down. Now you have a seal to show it loudly and proudly. Independent brewers, we raise a bottle, glass or can to you! Your risk-taking, innovation and relentless desire to build better communities have made America the craft beer capital of the world. To proudly display that independent spirit, the Brewers Association has created a symbol to unify craft breweries from around the country. 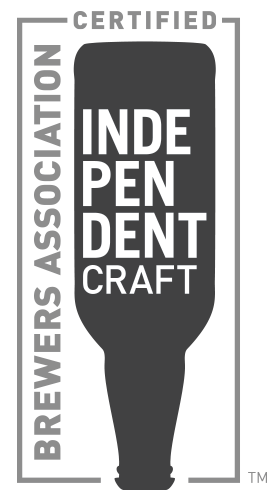 This symbol—the independent craft brewer seal—gives beer lovers an easy way to identify true small and independent craft brewers, something they have indicated is important to them. Our union is a collective group of passionate entrepreneurs and risk takers who have sacrificed much to fulfill their personal dreams and support the communities in which we live. Small and independent craft brewers continue to turn the beer industry upside down so that they can live the American dream while still putting community above corporation, people ahead of profit and beer before the bottom line. This seal lets beer drinkers know that the spirit of independence shines through in the incredible beers that small and independent craft breweries are making every day. We welcome you to join this movement to celebrate the spirit of independent craft beer and help beer drinkers know which beers are brewed by small and independent craft brewers. Learn more about the design of the seal.